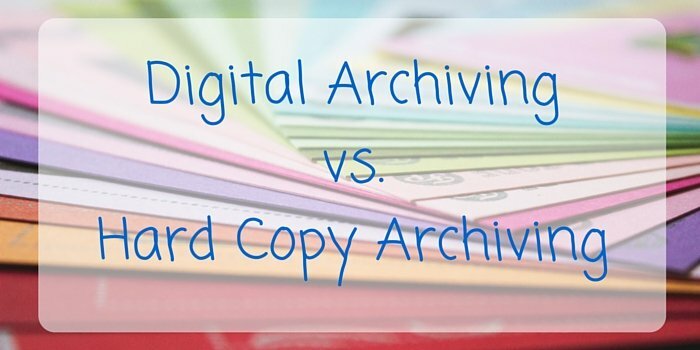 Although many people think that archiving business documents is out of date and pointless, others consider it to be the only way to archive documents. Paper copies of documents will have a shelf life of around 200 years, if stored correctly. Digital and magnetic (Word documents PDF files, CDs and DVDs) will only be good for as long as you have to technology to read them. Take the floppy disk for example, for the last 10 years no computer has had the functionality to read floppy disks. This could be the same for CDs and DVDs in the next 10 years or so. Although there will always be a way to transfer the old file type to something that you will be able to read, you will not necessarily get the same quality. All documents that need a physical signature should be kept as a hard copy. Contracts of sale and employment are typical examples of these kinds of documents. Although it is good to have two copies of important documents, copying these documents can result in them losing their evidential value. It’ll be more substantial if you keep these documents as they are in case needed in court. No matter what format you archive your documents they always run the risk of being stolen or tampered with. It is a lot harder to steal physical copies, especially if they are stored somewhere other than the office. If digital documents are stored on a network connected to the Internet it makes it very easy for people around the world to hack in, and either alter or delete files. If you were to store your documents in a physical format then only people who know where it’s stored, and are close by, are able to break in and alter or destroy documents. Pressing delete doesn’t completely delete a file. There will always be a way to retrieve that file again. In many cases hard drives have been completely smashed and people have still managed to get documents off of them. With hard copies as soon as you have burnt that piece of paper, that’s it. No one can get it back. This is great when you need to destroy confidential and unneeded documents. Even if you decide to have a digital copy of your documents its always ideal to also have a hard copy of the document too. One of the best places to store all of your hard copies is in a storage unit. This way you can keep them out of the way and safe. The best thing with using a storage unit is over time, as your business grows and the amount of paper increases, you can always upgrade your unit easily. Find out more about storing delicate documents by visiting our archive storage page.